The internet is heading towards a 'capacity crunch' as it fails to keep up with our demand for ever faster data, scientists have warned. Leading engineers, physicists and telecoms firms have been summoned to a meeting at London's Royal Society later this month, to discuss what can be done to avert a web crisis. The cables and fibre optics that send information to our laptops, smartphones and tablets will have reached their limit. Experts warn science has reached its limit and that fibre optics can take no more data from a single optical fibre. The internet companies could always put down additional cables - but that will mean higher bills. Experts say we could be faced with paying double or will have to put up with an internet that switches off intermittently. In just 20 years, if usage rates continue, all of Britain's power supply could be consumed by internet use. 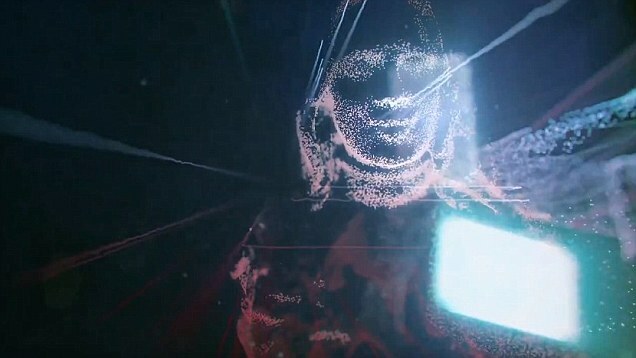 The cables and fibre optics that send information to our laptops, smartphones and tablets will have reached their limit to send data within eight years, experts warn. So far, engineers have managed to keep ahead of demand, increasing internet speeds 50-fold in the last decade alone. In 2005, broadband internet had a maximum speed of 2 Megabits per second. Today 100Mb-per-second download speeds are available in many parts of the country. 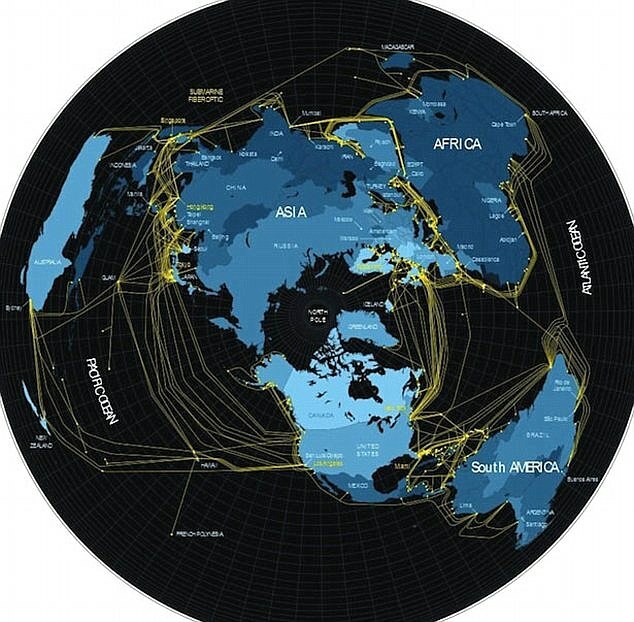 But experts warn that science has reached its limit - and fibre optics can take no more data. The result, according to Professor Andrew Ellis, who has co-organised the Royal Society meeting on May 11, will be higher internet bills or a cap on internet usage. 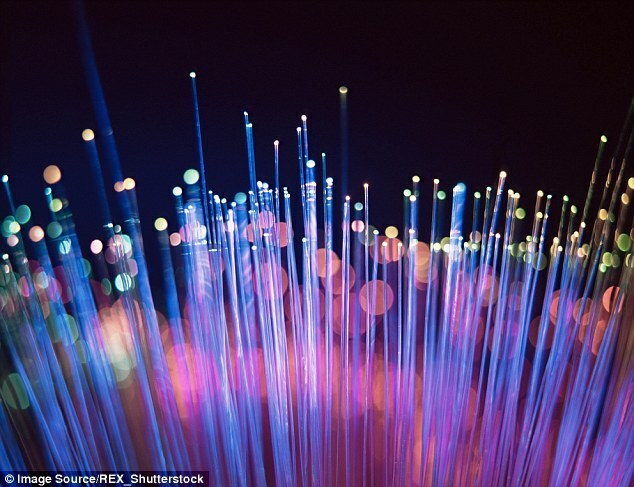 Professor Ellis, of Aston University in Birmingham, told the Daily Mail: 'We are starting to reach the point in the research lab where we can't get any more data into a single optical fibre. 'The intensity is the same as if you were standing right up against the sun. 'The deployment to market is about six to eight years behind the research lab - so within eight years that will be it, we can't get any more data in. 'Demand is increasingly catching up. It is growing again and again, and it is harder and harder to keep ahead. 'We have done very well for many years to keep ahead. But we are getting to that point where we can't keep going for ever. Usage is increasing at such a rate that by 2035 Prof Ellis predicts the internet will use all of Britain's power supply - making it impossible to meet demands. Optical fibres are flexible, transparent strands the thickness of a piece of a human hair. Information is transformed into light, sent down the fibre, and then transformed back into information. Until now, internet firms have simply sent more and more data down the single fibre as demand rises. But optical fibres have reached their physical capacity, they cannot transfer any more light. Professor Ellis thinks that within eight years, we will have reached our limit. 'If you put down a second line, it doubles the cost,' Professor Ellis said. 'That is a completely different business model. I think a conversation is needed with the British public as to whether or not they are prepared to switch that business model in exchange for more capacity. The professor warned that it also takes a huge amount of electricity to transfer data. 'The internet uses the same energy as the airline industry - about two per cent of a developed country's entire energy consumption,' he said. Every time internet speed increases, the electricity it takes to transfer the power also rises. Professor Ellis said: 'That is quite a huge problem. If we have multiple fibres to keep up, we are going to run out of energy in about 15 years. Between eight and 16 per cent of Britain's power is currently used up by the internet. This is equivalent to three nuclear power stations. 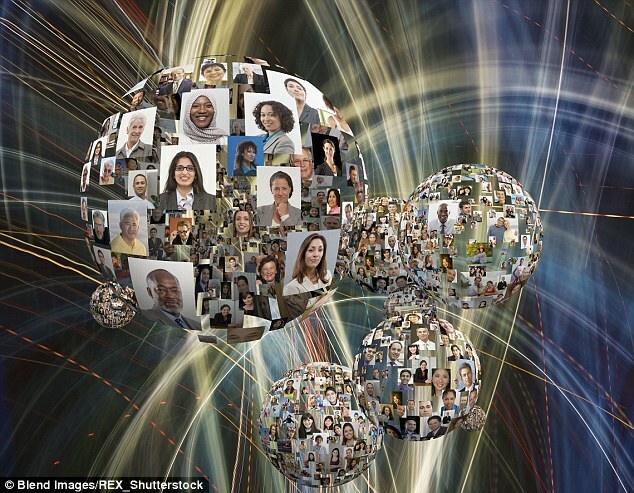 As internet usage rises, the amount of power needed to meet it is doubling every four years. By 2020 the UK is likely to reach its capacity to transmit data. If usage continues to increase, by 2035 the internet could consume all of Britain's power. This will make it impossible for the UK to produce enough power. 'The public needs to decide whether they want to use their precious wind turbine electricity on electric cars, or on more internet. Britain is already consuming up to 16 per cent of all its power through internet use and this rate is doubling every four years. Prof Ellis said the major telecom operators account for one to three per cent of national energy consumption - the equivalent of three nuclear power stations - and rising internet demand could consume the nation's entire power supply by approximately 2035. Not everyone, however, is convinced of the severity of the situation. Andrew Lord, head of optical research at BT and a visiting professor at Essex University, insists scientists will come up with a solution. Professor Lord, who will address the Royal Society meeting, said storing information in large 'server farms', rather than transferring it, would take the strain off the network. "The current generation of technology will exceed bandwidth needs for many years to come, but of course new technologies will be needed to cope with continued growth in demand further into the future. She also said it was impossible to speculate on how much prices would be in the future because there are many factors that could affect this. 'Communication networks face a potentially disastrous 'capacity crunch' as demand for data online outstrips the capacity of the optical fibres that carry internet signals.